1. Locate your property using the search bar at the top of the page or click on your "Search History" link on the left menu if you have previously located your property. To get additional information on searching for your property, click Finding My Property. 2. Once you have located your property, review the list of bill records associated with this property. Each bill contains a "First Installment" and "Second Installment" payment button. Each button is updated with the installment status. (A) The delinquent date if the delinquent date has not passed. (B) The next date penalties are added if the delinquent date has passed. Please Note: If the first and second installments are both unpaid and you click on the second installment pay button, both installments are added to your shopping cart. 3. You may review your shopping cart by selecting "Shopping Cart" from the "Main Pages" menu in the upper left of the webpage. We offer partial payments on unsecured, unsecured delinquent and unsecured supplemental bill types. Current tax code does not allow for partial payments on Secured or Suplemental bills. If you wish to adjust the payment amount on one of your unsecured installments, click the "Adjust" link under the Partial Payment column (seen above). 4. Once you have reviewed your shopping cart, select "Pay by ACH" or "Pay by Credit Card " from the Payment Selector drop down and click Checkout. 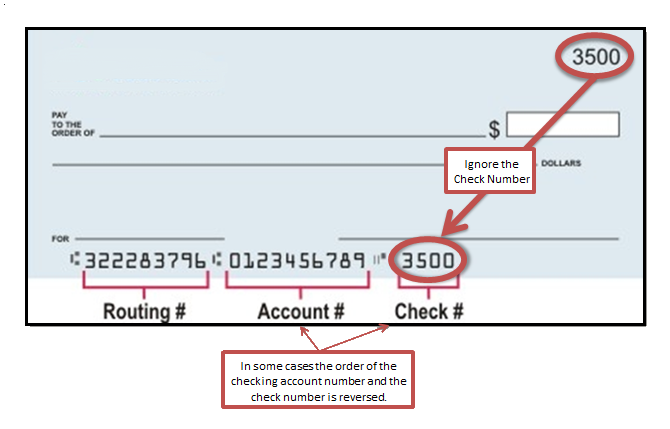 In order to pay by ACH (E-Check), you need to obtain the following details from one of your checks. Bank Account Number The account number is a three to 17 digit number on the bottom of your check that ends with , like the example below of, 0123456789 . Please ignore the check number. 1. You will see a confirmation message that the payment was successful. If the payment was not successful, you will receive an error message. If you continue to receive an error message, please call our office for assistance at 805-568-2920. 2. An e-mail will be sent to the e-mail address provided confirming your payment. 3. You can view your online payment details by clicking the "My Account" link on the left menu bar. 4. Your shopping cart will be empty. Be prepared to provide your credit card billing information or bank routing/transit number, and checking (or savings) account number, as well as your payment stub number. Also, remember that there no service fee imposed for an electronic funds transfer. For Credit Card payments, a 2.34% fee is charged by the payment processing vendor.